Real estate agents have a variety of benefits, from possessing the opportunity to set their own hours to working in offices they love. If you have been thinking about becoming a real estate agent, Pennsylvania is a great place to begin your career. 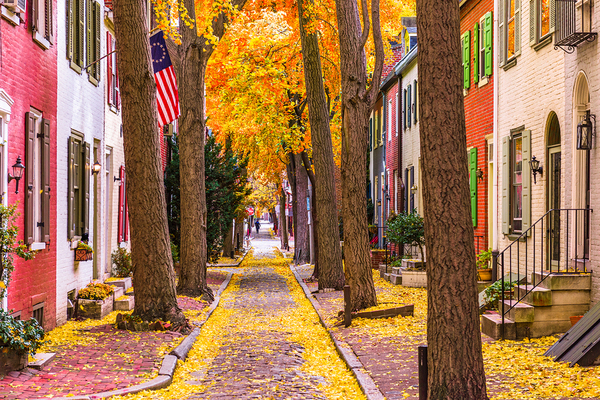 Prospective real estate agents in Pennsylvania have a well-prepared path ahead of them. This guide will walk you through the process of becoming a real estate agent in the state of Pennsylvania. There are several requirements for becoming a real estate agent. To begin, you must be at least 18 years old. You must also hold a high school diploma or its equivalent. You must also agree to undergo a criminal background check. While you are not automatically disqualified from becoming a real estate agent if you have been charged or found guilty of a crime, it may lengthen the review process. Some criminal convictions may prevent you from becoming a real estate agent, but the decision is based on the decision of Pennsylvania’s real estate board. In order to work as a real estate agent in Pennsylvania, you must complete 60 hours of pre-licensing education. Coursework will include topics in real estate fundamentals and real estate practice. You will learn about real estate contracts in addition to laws surrounding real estate practice. Online courses, like those offered through PDH Real Estate, allow you to go to school completely online. At the end of the course, you will take and pass a final exam. These exams are proctored, and you may retake it twice before you are required to retake the courses. In these courses, you will learn the basic skills necessary in order to become a real estate salesperson. You can complete a registration form and submit an application fee to schedule your Pennsylvania State Exam. When you apply for the test you must also submit proof that you have completed your real estate education. You will receive a notice of approval before you may schedule your examination in order to become a real estate agent. The notice will have additional information you will need to know for your upcoming test date. The examination will cover real estate regulations in Pennsylvania. Regulations differ from state to state, so it is important to familiarize yourself with the basics of real estate laws. Much of this is covered in your real estate pre-licensing coursework, but it is important to study for the examination. You may be required to re-take coursework if you do not pass the exam after a certain number of re-takes. You must find a Pennsylvania broker to sponsor you before you receive your real estate license. You will work in association with this broker’s office. This means that a portion of your earnings will go to the broker whose office you are working in. The broker, in turn, will help you understand real estate requirements and ethics as a salesperson. He or she is essentially showing you the ropes of real estate sales in practice. In order to find a real estate broker to work with, it is a good idea to begin your research by asking other real estate professionals. You may find a good recommendation for brokers who have a good reputation among new real estate professionals. It is smart not to choose the first real estate broker you come across. Rather, ask questions and speak with brokers to get a feel for how well you think the two of you would work together. Each real estate broker has something different to offer. Pennsylvania real estate agents have the opportunity to work with a variety of different homes. Once you pass the Pennsylvania real estate exam, you may apply for a license through the Pennsylvania State Real Estate Commission. With your application you must submit your broker’s signature, transcripts from real estate courses, exam score reports, and a criminal background check. You must also submit payment for your license at this time. Ensure that you have included everything with your application for fast processing. Common errors with the application include failing to provide all information, including a broker license number, or paying the incorrect licensing fee. Doing any of these things could mean that you are waiting longer to receive approval for your license. Once you are working as a licensed real estate agent you are not exempt from continuing to take real estate courses. You must continue taking courses to keep your real estate license active. You can choose to take one course at a time or to purchase all your course hours at once through PDH Real Estate. Courses may be in a variety of subjects and include topics like Green Housing Essentials, Antitrust and Misrepresentation, and Broker Management. These courses are intended to keep you up to date with everything from emerging trends in real estate to new Pennsylvania real estate laws. These courses are meant to allow you to serve your clients to the best of your ability. Real estate courses will keep you in the know regarding important information. Additionally, these courses are essential for renewing your license in each period. Contact us for more information about taking real estate courses. When sellers ask for advice on how to appeal to buyers, one of the most common suggestions made by real estate agents is to remodel. The truth is that remodeling even a single room can boost a home’s worth. The one room that can make or break the sale is the kitchen. For this reason, many sellers are determined to remodel this room before selling. Of course, it is still important to determine what new features will help sell the home and which are a waste of time, money, and effort. This is what other real estate agents had to say. Keep the color scheme of the kitchen simple and neutral, especially when it comes to the counters, cabinets, and backsplash. Just make sure to stay away from white, which can date your kitchen and show off any bit of dirt. If you have a big budget for remodeling the kitchen, consider knocking down some walls. It can cost anywhere from $2,500 to $30,000 to do this, depending on how much weight the wall bears. Convenient features are sure to wow your buyer. Extra drawers in otherwise useless places, a pull-out pantry, or a Lazy Susan in the corner cabinets add utility to the buyer’s life. You might also consider under-cabinet lighting to add some ambiance to the kitchen. These little details can make a big difference. 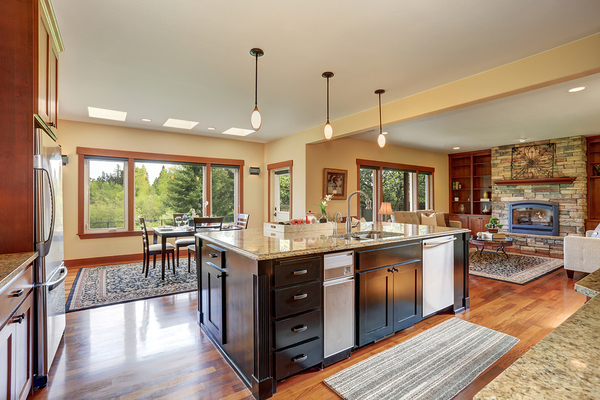 Kitchens with open spaces appeal to buyers more than those that are closed in. Granite and marble are great countertop choices for a modern kitchen. Marble requires more upkeep, but the light colors add a sense of size to the kitchen. Caesarstone is also increasingly popular for its instant impact. Already have beautiful countertops? Try adding a backsplash. While this may be among the most expensive types of remodels, it is often worthwhile. Light-colored cabinets add a sense of expansion in the kitchen, whereas darker cabinets can make the room look smaller. Think your cabinets are already up to snuff? Consider changing their color to something that opens up the room. Wood floors are becoming the most common for a kitchen, but your best bet is to choose something that is in fitting with the rest of the room. Your options include everything from bamboo and hardwood to laminate and tile. One of the best ways you can help your clients as a real estate agent is to continue taking courses. In these courses, you will learn how to talk to your sellers about current trends in real estate sales. Contact us for more information about how real estate courses will help you reach out to your clients. Tre Pryor is the recognized real estate expert in the city of Louisville, Kentucky. Tre is the founder and editor of LouisvilleHomesBlog.com, the #1 real estate blog in the city, and he also writes for InsiderLouisville.com and several other industry websites. We recently caught up with Tre to learn more about how the Internet has transformed the residential real estate industry, as well as what challenges home buyers are facing today. Tell us a bit about yourself. Why did you decide to start a real estate blog? When I began my new career in real estate, I wanted to learn as much as humanly possible about my chosen field. Having to write regularly for my own blog forced me to dig deep and develop that expertise. What are some of the qualities or challenges that are somewhat unique to the Louisville real estate market? Currently, our absorption rate is as low as it’s ever been. Homeowners could sell much more easily than normally, but then what could they buy? It’s a difficult, unbalanced situation to be sure. Since you’ve been on the World Wide Web since 1993, could you tell us the most drastic way that the emergence of the Internet has transformed the residential real estate industry? Consumers now have so much information at their fingertips that it’s overwhelming. Some of it is incredible, but some is flat out wrong. It’s difficult for the average person to tell right from wrong when it comes to what homes are actually for sale. Do these websites truly tell us what a home is worth? Which agents know their stuff, and which are simply copying things from other sources? Finding a trustworthy expert is more important now than ever. What are some of the biggest stressors today for people who are trying to purchase new homes? There’s always stress associated with any big decision. I would have to say that buyers today are expecting the prospective homes they visit to look more like what they see on HGTV. When sellers don’t go the extra mile to make their house look great, buyers are disappointed. Move-in ready properties in Louisville sell fast and for top dollar. For people who haven’t experienced the home buying process for a decade or more, what factors should they consider when searching for a new home? The loan process is much more rigorous and time-consuming. Be prepared for the lender to ask for details about anything and everything. At the end of the day, people are still getting their loans, but they now have many more hoops to jump through than they did ten years back. When it comes to the frequent changes that occur in the real estate industry, in what areas do you think you fellow realtors could improve? In my experience, I’ve found that while some agents treat their clients well (otherwise they wouldn’t be agents for long), they do not treat other agents with the same care. Perhaps it’s a small portion of the industry, but it’s not a good trend and actually detrimental to their business whether they know it or not. When it comes to consumers, each agent should work to go above and beyond client expectations because the barrier to entry is low enough that new agents could come in and take their market share quite easily. What are some of the most important things you’ve learned when completing your professional development hours? It’s essential to stay on topic of all legal changes and requirements as they apply to your practice and membership to each industry group. The very last thing you want is a lawsuit to come your way. Never stop learning! What will realtors have to do to succeed in the future that’s substantially different from what the realtors of the past had to do? I’m not sure it’s drastically different, but very few agents understand how branding can help them grow a long-term, profitable business. Having a mission that is consistently supported by your marketing messages across all platforms is what separates the good agents from the superstars. Need more information on professional development hours for realtors? Contact us today. New York has been long known as the city of dreams. If your dream has been to work as a real estate agent, New York is the perfect place to start. Becoming a real estate agent offers a wide variety of rewards, including the ability to control your income and hours each week. Plus, you are helping people find homes that they love. If you are looking to take the plunge into a new career in real estate but are not sure where to start, this guide will walk you through the process. It’s actually simpler and more straightforward than you might think. First, it is important to take note of the basic requirements for working as real estate salesperson in New York. You must be at least 18 years old to become a real estate agent. Additionally, you must be able to prove that you are a United States resident. You will undergo a background check and fingerprint as well. If you have any felony convictions, you may not be eligible to work as a real estate salesperson in New York. New York real estate agents are required to take a variety of courses in order to learn more about the industry. These courses might include those like Fair Housing Made Easy, Real Estate Ethics, Real Estate Pricing, Real Estate Finance, Green Housing Essentials, and Broker Management. These courses are required to provide you with all the information you need to operate as a real estate agent in New York. In New York, real estate agents are required to complete 75 hours of education through an approved provider. Through PDH Real Estate, you can select individual courses to take or select a package that allows you to meet all your requirements. The good news is that you can take many of these classes online. This allows you to study and take lessons on your own time in preparation for your exam and practice as a real estate salesperson. If you have a bachelor’s degree in real estate, you may be eligible for a waiver. The rules may differ based on where you obtained your degree and what course of study you took. Licensed lawyers may also be able to bypass certain educational requirements as well. In order to work as a licensed real estate salesperson in the state of New York, you must work under a licensed broker. This broker’s role in your life is to teach you the ropes of working as a real estate agent in the field. In working with a broker, you will learn how to apply all necessary skills to your work with some guidance from somebody who has done it all before. In order to find a broker, you want to start by performing a search of those in your area. You should call the real estate agents who seem most promising and ask if they are looking for real estate agents to work with. In fact, you might already have a few in mind. Your next step is to schedule the New York salesperson licensing examination. You can do this via the New York Department of State’s Occupational Licensing Management System. Tests are given several times throughout the year, so you can schedule an examination that works best for you. Passing the real estate exam takes effort, but studying and taking courses is part of the road to success. Many real estate agents study intensely in preparation for the examination, but in many cases, the classroom hours help to provide the education needed in order to pass. In order to pass the 90-minute exam, you must score at least 70 percent or higher. If you do not pass your first time, you will be able to re-take the test. When you come to the examination, make sure to bring a government-issued identification card. You should also bring a calculator and the confirmation sheet printed out from when you scheduled the test. You will be able to find that application on the New York Department of State Division of Licensing Service’s website. Along with your application, you must submit a certification of completion of education requirements, license fee, notification of examination, and the information for the broker you will be working with. Fees are due before you can receive your license. In order to work as a real estate agent in New York, you must be licensed. This means you need to maintain your license by completing the continuing education requirements while you work. In each licensing period, real estate agents must fulfill 22.5 hours of continuing education approved by the state of New York. At least three hours must be related to fair housing or discrimination, and one hour must be related to the law of agency. After working as a real estate salesperson for a period of time, make agents opt to work on requirements for becoming a real estate broker. The requirements for real estate brokers differ slightly but still require continuing education. Becoming a New York real estate agent requires hard work and dedication, but it is an attainable goal. Once you have your real estate license, you need to keep up with continuing education to continue practicing year after year. Contact us for more information about meeting your continuing education requirements. When you hear the word “automation,” how does it make you feel? If you are like many workers all around the United States, it might make you feel a bit intimidated. Do you envision yourself working alongside robots in the future? Do you think a computer could do your job? Real estate agents have been wondering this exact same thing. The truth is that automation could actually be helpful for real estate agents. In fact, it might even be helping you already. You may find that automation does not necessarily indicate a loss of jobs for real estate agents but rather an increase in productivity. Some experts, including the professionals at Zillow, suggest that computers and robots will enhance the real estate professional’s role, not replace it. Technology provides us with more information than we ever thought we would have access to. For instance, computers can tell a seller how many potential buyers are interested in the home based on data it receives. They can also act as a liaison between the real estate agent and seller, making it easier to get in touch quickly. When you use accurate data, you can easily make predictions about the wants and needs of your buyers and sellers. Predictions will help you make better decisions for your real estate firm and your career, allowing you to make better decisions in terms of your continuing education courses and niche. If data tells you that green housing is on the rise, for example, you will be able to make better decisions regarding this niche. Technology is becoming increasingly affordable. In fact, more than one quarter of real estate agents spent at least $500 on technology within the last year. This technology includes everything from tablets and smartphones to digital cameras and security cameras. With the help of chatbots, you will soon find yourself with the ability to reach out to clients before you even realize that they are interested parties. Upon noticing that a visitor is spending some time on your real estate website, a little box will pop up to prompt communication. This box can provide an introduction or some information about you to the potential client. It can offer help and use keyword recognition to help identify what the client is looking for. Could a computer type your next email to a potential real estate client? Virtual assistants can be activated by voice, and they are now situated in devices like your smartphone. Speech recognition devices like Siri and Alexa can help you complete functions with the sound of your voice. Some devices now have the ability to turn on lights, turn down volume on music, or turn off your television. In fact, many will even tell you the weather if you ask. It is not uncommon for real estate agents to find themselves fearful of the future. In fact, this happens in almost any career field. Changes in the industry are always potentially life-altering. Learning to adapt is possible and has been done time and time again. Contact us for more information about adapting to the changes that the real estate industry may encounter. Dan Welyk is a full-time Realtor® with FindNewDigs.com who has been helping home sellers and buyers reach their real estate goals since 1999. We recently spoke with Dan about the trends he’s seeing in the housing market and how he keeps up with an ever-changing real estate industry. Tell us a little about yourself. Why are you so passionate about being a realtor? I am passionate about being a Realtor® because real estate has been a large part of my life, even when I was a young child. Growing up in the industry, I knew it was the right fit when I was looking for a career. I absolutely love every aspect of it – especially helping my clients fulfill their real estate dreams. How has the real estate occupation changed since the time when you were younger and observing your parents’ work in the industry? Technology has been the biggest change in the real estate industry. I remember when I was young and my father having to go to each office independently to pick up keys for homes he was looking at that day. Now, we have lock boxes that send us text messages as soon as they’re accessed, which gives us way more control and security for homeowners. In our home, we would also have anywhere from 20 to 50 MLS® listing books showing all the homes for sale. These books were still being used when I became a licensed Realtor® but were slowly phased out when we got access to an online database. Now, instead of having one picture of a house, we’ve moved to upwards of 50 still pictures, floor plans, and virtual and 3D tours. This has made searching for homes way more efficient and easier for home buyers. Managing showings for home buyers and sellers has become much simpler as well with programs that map our routes and control our bookings. Sellers receive text messages when a Realtor® wants to see their house, and they receive another text once the showing is complete so they know they can go home. What types of home buying or selling challenges do you deal with in Calgary that might not be as prevalent in other Canadian cities? The challenges I see as a Realtor® in the Calgary market revolve around the fact that it is heavily dependent on the oil and gas industry. Calgary is home to many head offices, and we see fast growth spurts as well as downturns depending on what the corporations are doing and the price of oil. This can be frustrating for home buyers when we see prices jump very quickly for homes that receive several offers within hours of them hitting the market. There’s also frustration for sellers when the real estate market comes to a grinding halt because oil prices drop significantly. What are some of the biggest concerns that you hear from first-time buyers in your area? The biggest concerns I am seeing with first time home buyers right now is affordability. We have had many changes to our lending practices that have made home buying a little more challenging – for example, higher CMHC rates as well as higher qualification levels. Though I agree with some of the changes, we will have some short-term pain for these buyers as they get used to the new rules. …the building envelope, i.e., keeping the cold air out and the warm air in. Calgary specifically has Chinooks, or sudden significant increases in temperature, and ensuring that your home does not have areas where ice can build up and cause water penetration during these “melt offs” is critical. What aspect of being a Realtor® do you think that many of your peers aren’t as knowledgeable about as they should be? Knowledge is key in the real estate industry. The market changes all the time, as do the rules and contracts. Keeping up to date with the industry rule and contract changes is more important than keeping up to date with the market – so you can protect your home buyers and sellers. Having to send a contract back to a Realtor® for basic things like using outdated forms is not only embarrassing for him/her, but it also tarnishes the reputation of the professionalism of our members. Name something that you learned in your professional development courses that you use frequently today. Part of our continuing education and professional development for being a licensed Realtor® is taking courses for rule changes. One of the more prominent and recent changes was a standardized measurement for all homes selling in Alberta. In years past, the Realtor® was typically the one who completed the measurements on homes and condos; and because there were many discrepancies, this led to a lack of consumer confidence. Now, we have to show proof of size and submit measurements to our local board. The easiest way for me to ensure my listings are accurate is by hiring a professional measurement company. This way, we know exactly what size the house is without any confusion. What future trends do you expect to see in the real estate industry over the next decade or so? Over the next decade or so, I will expect to see more home buyers and sellers looking for more mobile options for home searching and selling. The use of 3D and virtual tours is going to increase significantly, and people will want to be able to receive this information on their mobile devices quickly and easily. Another trend I can see is more use of client reviews or testimonials when picking a Realtor®. Where home buyers and sellers may have relied on a friend or family member referral, I’m finding reliance on actual client reviews becoming more and more popular, especially among the younger generation. PDHRealEstate.com can help you keep track of all the real estate rule changes in your area. Contact us for more information! Victoria Carter is one of the top real estate agents in northern New Jersey and the country, and was ranked the #1 real estate agent for Weichert Realtors based on transaction volume and total units in 2015. We had a chance to speak with Victoria about modern marketing techniques and technologies available to realtors, and also learned about some of the desires and obstacles of today’s home buyers and sellers. Tell us a bit about your background. Why are you so passionate about being a realtor? After graduate work, I began a career in retail and rose to become a senior corporate executive at Saks Fifth Avenue. The negotiation skills that are an essential part of corporate management prompted me to consider the real estate profession. When I started my own family and went through the process of buying a home, I came to believe there could be a whole different level of service offered by realtors. I began working in the real estate industry in 1998, and it is my full-time profession today. I am passionate about being a realtor because my success is my client’s success. I enjoy meeting and interacting with people and the challenge of always optimizing outcomes for my clients. If a family is selling a home, I strive to attain the highest possible sales price. If I am representing potential home buyers, success means helping them find their dream home. About 60% of my business is either repeat or referral business. I believe this high percentage reflects both my unwavering commitment to prioritizing client outcomes and my passion for the work that I do. What are some of the priorities for home buyers in your market that might not be as important as those in other parts of the region? In northern New Jersey, home buyers prioritize communities that are directly on or within very close proximity to the Midtown Direct train line. These towns are within a one-hour commute to New York City, door-to-door. As a result, the communities are commuter havens and magnets for families looking to access New York City while maintaining a high-quality life in the suburbs. Another priority for many home buyers in my markets is town character. In particular, people are looking for towns with a strong sense of community and ones that include great parks and recreational facilities, like the South Mountain Reservation. Many of these communities have an urban feel and are culturally progressive. Another essential characteristic of these towns is their outstanding school systems, most of which are nationally ranked. Families moving into one of these communities want the benefit of easy access to New York City and outstanding K-12 school systems. What kinds of cutting-edge technologies are available today for realtors to help them buy or sell homes? Some of the cutting-edge technologies available for realtors today include virtual 3D tours, drone photography, and beacon technology to alert potential homebuyers of a nearby open house or property for sale. Streaming video is also an important technology for real estate agents because it is interactive and helps agents show a property to someone who cannot physically be on location. These technologies provide home buyers with a high-quality user experience and give sellers the opportunity to broaden the potential pool of buyers far outside their immediate area. What are some of the innovative and modern techniques and tactics for marketing a home that didn’t exist even ten years ago? Video is an innovative tool for marketing a home because it allows potential home buyers to take a virtual tour. Also, social media is now a critical platform for getting information about properties out to a broad audience. In particular, the ability to geo-target social media posts to a location or radius around that location was not possible just over a decade ago. People forget that Facebook was only available to the broader public starting in 2006. The Internet is where over half of home buyers actually start their search. I have an expansive commitment to multi-channel digital marketing which even includes multiple websites. It is also imperative that marketing strategies for realtors be mobile-friendly because so many people use mobile and want the ability to pull up information (like the directions to a property) at the push of a button. …the financial complexities inherent in buying a home. Although buying a home is a long-term financial investment, it still involves many expenses every year such as mortgage payments, repair and maintenance charges, property taxes, and homeowners insurance. The financial acumen required for homeownership should not be underestimated. Which technical aspect of the real estate purchase or sales process seems to be the most confusing to your clients? For buyers, the most confusing aspect of the real estate purchase process is the home inspection. It is very overwhelming, and buyers are often baffled as to the next steps and the scope of the seller’s obligation. For sellers, the most confusing aspect of selling their home is the logistics and timing of selling one property while trying to move into another – the classic “sell first or buy first” dilemma. It’s a balancing act which can be very disruptive to a family’s routine and life when it does not go as planned. Why are professional development hours (and keeping up with them) so important for realtors today? Professional development courses are an essential component of remaining a knowledgeable and ethical practitioner in the real estate industry. A realtor is a critical resource to his or her client and must be well-informed on all aspects of the buying and selling process. The 2015 TILA-RESPA Integrated Disclosure Rule, for example, impacted disclosures and transparency for borrowers and realtors. It was an important source of information for clients confused by the changes. The evolving role of social media as a marketing tool in real estate also requires continuing education. How do you expect the needs and desires of home buyers to change over the next ten years or so? I see a trend towards smaller homes and believe this shift will continue over the next decade. Millennials are the new generation of home buyers and are cognizant of affordability. They still prioritize excellent schools, but the “McMansion” trend is waning. I also think that Millennials, in particular, do not want to be dependent upon two incomes; rather, they are happy to be a one-income family and opt for a smaller home. Therefore, I expect home buyer needs over the next ten years or so to be characterized by a move towards smaller homes in communities that are culturally progressive and have an urban feel. Are you behind on your realtor professional development hours? Contact us for more information. If you have ever dreamed about becoming a real estate agent in Florida, you are not alone. There is no better time to begin a new career than right now, especially with potential for the housing market to grow in the coming years. In Florida, the world of real estate is highly regulated. This means that you need to complete a series of steps in order to ensure that you can build a successful real estate career in the Sunshine State. These steps will guide you through the process. In order to become a real estate agent in Florida, you first must be at least 18 years old. You must also possess either a high school diploma or the equivalent, such as a GED. You must also possess a valid United States Social Security number. Once you have completed these steps, you are ready to move on. In order to apply for your real estate license, you first need to complete some educational requirements. In Florida, you must complete 63 hours of classroom education on approved topics. These courses will be in topics like housing ethics, real estate law, and practices in buying and selling. Once completing your classroom time, you have two years of validity in which you can continue the application process for your real estate license. Want to work as a real estate agent in Florida? The steps are straightforward. In Florida, pre-licensing real estate courses include three different components. Real estate principles take up a significant portion of the coursework and cover topics from time management to the selling process. These courses also focus on property valuation, escrow procedures, financing, taxes, and liens. Real estate practice is another necessary component for the coursework, encompassing everything from the practice of pricing a home to how to best counsel a buyer. Finally, Florida real estate courses will cover the legal aspects of real estate, clearing up common misconceptions associated with the practice. Common topics in this field include contract clauses, agency policies, and disclosure guidelines. If you are a lawyer in Florida, you do not necessarily have to take these courses. You do still have to complete post-licensing examinations though. If you have a bachelor’s or master’s degree in real estate, you may be exempt from continuing education as well. In Florida, you must agree to complete the process of fingerprinting through a company that uses Livescan devices. Additionally, you must also submit to a background check. A criminal history may disqualify you from obtaining your real estate license, but it does not always. In many cases, minor crimes will not necessarily lead to disqualification; however, the commission may choose to take a closer look at your application before making a decision. Next, you need to apply for your real estate license by completing and sending in the proper application. The Florida Real Estate Commission will take a look at the application in addition to your background check and educational requirements. They will soon determine whether or not you are eligible for a real estate license. At this time, you must also submit your real estate license application fee. The real estate exam covers topics you should have learned in your real estate pre-licensing courses. Once you take your classes, you need to schedule your exam right away. It may be months before the next licensing exam, so you need to continue studying in the meantime. In order to pass the exam and receive your Florida real estate license, you need to receive 75%. If you do not pass the test, you may try again once within a year of your first try. More specifically, the Florida real estate examination will cover topics that even include questions related to the real estate sales associate license. You will also be asked questions about important documents and forms to be signed by the buyer and seller. It is wise to study as much as possible ahead of time to ensure that you do not have to retake the test in the future. The sooner you pass, the sooner you can get started on building a career as a real estate agent. In order to activate your real estate license, you must first secure employment with a licensed real estate broker. Your broker will help you acclimate to the real estate industry, becoming a better real estate agent in the long run. Finding a broker to work with could be a guide in and of itself, but it all starts with scouring your local community and the Internet to find a list of brokers from which you can narrow down. Consider how these brokers appear from the perspective of a consumer looking to buy or sell a home, and don’t be afraid to ask important questions. You can schedule an interview with the brokers that appeal to you, and you can talk with buyers and sellers you are familiar with to obtain a better understanding of the brokerage. After you receive your real estate license, you need to complete educational requirements each licensing period. This will help you retain information as well as keep up with changing trends and laws in the real estate world. These courses are in a variety of topics ranging from making houses more eco-friendly to understanding discrimination and fair housing laws. You are required to complete 45 hours in a licensing period to be renewed. Completing real estate education is an essential component on the road to becoming a successful agent or broker. Want to learn more about real estate education in Florida? Contact us for more information about staying informed. Today, no company can sustain itself without building some sort of web presence. Whether you post regularly on Facebook or share listings on Twitter and Instagram, you’ll struggle to get by without constant content in the form of a blog. Even if you have a real estate blog, do you know how to keep the content fresh? If you aren’t getting the rewards you want from your real estate blog, it could be that you need a refresher course in how to keep your blog running smoothly. These tips will help you make necessary improvements to reach out to potential clients, near and far. Do you know what people want to know about real estate? Thanks to Google, you can get in the know about common questions and keywords used to find content. With Google Trends, you can find out which questions people have about not only the real estate industry, but also about your neighborhood. This allows you to focus your content so that you can bank on these common searches. You do not have to post every day, but you do need to post consistently. Posting simply two or three times each week is a great start and will keep readers coming back for more. Taking a break for too long may cause you to lose your audience. Each type of social media platform provides its own series of strengths and weaknesses. For instance, pins on Pinterest are more likely to experience longevity in terms of sharing when compared to sources like Twitter and Facebook. Google+ and LinkedIn are better for building relationships with other real estate agents than other platforms. Twitter is helpful for showcasing a fun personality and making small quips with helpful insight. And of course, Facebook still seems to reign supreme with its high number of users and strong visibility. When you create strong video content, you can draw more attention to your blog. Cross-promotion on sites like YouTube and Facebook offers a fantastic way to bring a new audience to your real estate blog, even if they are not interested in buying a house just yet. Do this by discussing interesting topics that might intrigue even the curious web surfer. Of course, one of the best things you can do for your blog is to become more knowledgeable about your industry. Real estate continuing education can help you brainstorm intriguing topics for your blog. Contact us for more information about pursuing your education as a real estate agent.